This is the last in a four-part series of identifying and fishing water types. Look for eddies that contain insects. Pools are deeper waters located at the edge of the main current. 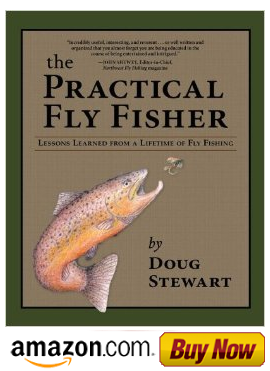 They display a mirror-like surface which allows the fly fisher to spot fish. Light tippets and longer leaders are necessary for success. I normally use smaller flies. My favorite patterns are the Blue-Winged Olive and Griffith Gnat in sizes 16-20, Soft Hackles in sizes 12-14 and searching patterns such as Spiders and Bivisibles from 10-16. Keep a low profile when you are trying to spot fish in a clear eddy. These wily creatures can be very analytical, so stealth, careful presentation, closer imitation and patience are necessary for consistent success.